Situs inversus a rare congenital disorder in which major visceral organs such as heart is reversed or mirrored from their normal positions. The normal existing arrangement is termed Situs solitus. Leonardo da Vinci first identified and drawn the Dextrocardia, heart being located on right side of thoracic cavity. The condition affects almost all the structures within the thorax and abdomen. The heart is located on the right side of the thorax, the stomach and spleen on the right side of the abdomen and the liver and gall bladder on the left side. 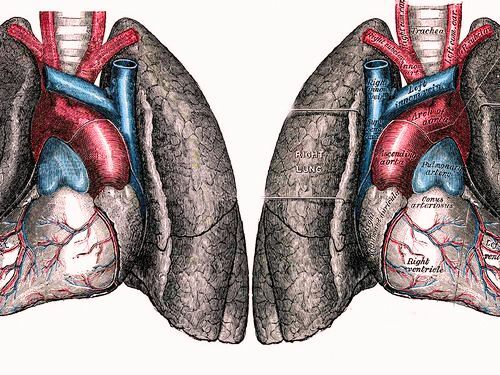 The left lung is trilobed and the right lung bilobed, and blood vessels, nerves, lymphatics and the intestines are also transposed. Situs inversus is generally known to be an autosomal recessive genetic condition found in identical “mirror” twins. The notable Randy Foye, an American basketball player is a victim of Situs Inversus.